We have a 35-year track record, finding highly-skilled talent for technology companies that dominate their markets in the Cloud Computing & SaaS, Networking & Telecommunications, Wireless & Mobile Communications, Enterprise & Mobile Security and Semi-conductor sectors. Founded in 1982, Huntech has helped companies to grow their global footprint by placing candidates in key senior leadership and development positions for more than three decades. • Placing 257 Senior ASIC/Software engineering leaders and managers at ATI Technologies Inc., with strong retention, helping ATI become a global leader in graphic chips (acquired by AMD in 2007). • Building enduring relationships with Qualcomm over eight years as one of a few select vendors in U.S. and Canada placing full-time and contract engineering and management resources. • Helping to assemble RuggedCom’s engineering/marketing/sales team to become a 100M/year leader in ruggedized networking (acquired by Siemens in 2012). • Being the prime Canadian vendor to Scientific Atlanta for over 20 years and now Cisco after their acquisition of SA in 2006. • Being the prime vendor to HP Networks Division and then McData (acquired by Brocade). • Being the prime vendor to Psion Teklogix and then Motorola Solutions and now Zebra Technologies. Huntech partners with you to find and qualify the best candidates to help your company grow. Permanent Staffing: Our goal is to build long-term relationships with our clients based on trust, integrity and results. We take the time to meet with you to understand your company’s unique needs and corporate culture to ensure the candidates we recommend are a good fit. We develop a thorough understanding of the requirements of your current openings so we can fill those roles with highly talented candidates. Fast. Our rigorous screening process allows us to present only qualified and technically-tested candidates for your consideration. We short-list three pre-screened candidates per position. We follow up periodically to smooth out any issues and stay actively involved until you are satisfied with the results. Contract Staffing: We can mobilize quickly to fill urgent contract positions within aggressive timeframes. We apply the same expert-level search capability and thorough screening to deliver these candidates. These roles offer flexibility in augmenting your company’s permanent staffing on a short-term or ongoing basis. They also allow you to monitor work performance prior to making an offer of permanent employment when budgets permit. Payroll Services: We provide seamless payroll management to alleviate the administrative burden on you. This includes collecting timesheets, making government-mandated deductions and ensuring prompt payment. You receive a consolidated invoice every two weeks for all temporary employees and contractors. With our accounting back office located on our premises, we can scale up to pay-rolling hundreds of such workers for you. mutually agreed-upon goals and timelines. As the founder and CEO of Huntech, Raj has been the company’s guiding force for more than three decades. He has expert level knowledge of the semiconductor sector, having placed hundreds of candidates and developed enduring relationships with key hiring managers at the world’s leading technology companies. 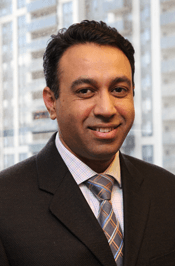 Raj has an EMBA from Queen's University in Kingston, Ont. Priti works closely with our CEO on business development and full-cycle recruitment. She has an extensive background in communications and has worked at national news organizations in Canada. She has a Master of Social Work degree from the University of Toronto, as well as, undergraduate degrees in journalism and psychology/geography. She joined Huntech in 2016. Adhir has a background in systems analysis and database administration. He previously worked for the University of Waterloo, Xerox and IBM. He has an Honours Bachelor's of Commerce degree from Queen's University in Kingston, Ont. 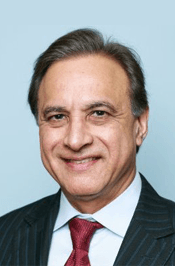 Adhir joined Huntech in 2014. Danny came to Huntech in 2015 with a diploma in Computer System Technology, specializing in Networking, from Centennial College in Toronto. 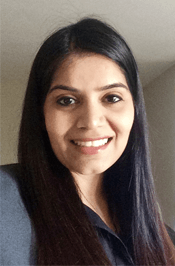 Swati has nearly a decade of experience in recruiting and client relationship management. Her core competencies include creating talent pipelines, sourcing, screening, interviewing and presenting qualified candidates for mid to senior level contract roles in the U.S. and Canada. Swati has a MBA from Amity Business School. Swati joined Huntech in 2016. Fateh started his career in Unix Systems Administration before transitioning into recruiting. His previous full life cycle recruiting experience includes placing intermediate to senior level information technology and finance professionals. Fateh joined Huntech in 2017. Arjun is Huntech’s mascot who reminds us to make time for play! 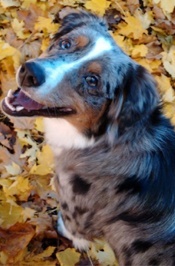 He is a purebred Blue Merle Australian Shepherd with Canadian (mother) and American (father) lineage. Arjun was born in 2016 and joined Huntech the same year.